Having worked with several hundred small businesses on their brand development, I've seen my share of branding problems. While we attempt to correct the problems, the challenge with trying to "fix" these brands is that we can't salvage enough of the current brand to move the company forward. Often, a complete refresh is needed. It's understandable why many HVACR brands need help. Fledgling businesses often exhaust their financial resources paying for fleets, equipment, and everything else they need to get up and running. Brand becomes an afterthought — when the budget is stretched thin. So, maybe the sign company that does the truck lettering does a quick attempt at a logo. Or maybe it's the silkscreen company that is making up your uniforms, the local printer that is printing your business cards — or your nephew who "likes to draw." 1. You have a homegrown, outdated brand. Homegrown brands are good for nostalgia, but bad for business. Many small businesses have built their brands around logos that they or family members created. With the advent of desktop publishing years ago, and the prevalence of instant access to clip art on the web, this has become a common and rather unfortunate characteristic of many small business logos. In the design world, we call this "nephew art" — because most designers have heard clients say things like, "My [nephew/niece, guy I know] is really good at art, and he designed our logo," when asked about their brand origins. I'm sure there are some nephews and nieces who are in fact really good at art — and simultaneously — really good at branding. But the vast majority of them, well-meaning as they may be, are not actually qualified to be trusted with your most important asset: your brand. 2. Your brand is obvious. Many HVACR contractors use the most common, generic elements in their brand. Common clip-art elements, such as the ever-popular "blue and red arrows in a circle," or the "sun and snowflake" icons are overused. They have no chance of being unique. For a small business, good branding should never fit in; it should stand out and be unique. If your logo can be mistaken for a dozen other similar brands, how will your target audience remember it amid the clutter? A great HVACR brand should be unique, bold, and memorable. Keep in mind that if your logo includes clip art, your logo cannot be trademarked. That means any other company can use the same design. 3. Your brand makes no "promise." Good branding should tell viewers something about the company before they actually interact with the company. It should leave them with a positive impression of the business. So it's critical that those impressions say something about your HVACR business. What does your brand communicate to the viewer? Does it communicate concepts such as reputability, professionalism, and trustworthiness? Or instead does it scream sloppy, cheap, homegrown, and maybe not in business next year? We have worked with dozens of HVACR companies that do fabulous work, but just don't look like they do because their brands are amateurish. A consumer about to spend $15,000 on a new A/C system needs to have all of their fears alleviated. Then need to know that your company is professional and is going to be around in the future. You face an upward battle when the brand doesn't instill that confidence up front. 4. Your logo uses photos. Brands based around photos are awkward, and generally represent an amateur approach. You don't see large companies using photos in their logos, and with good reason. Such a logo can't be replicated across mediums and generally does not make for a memorable image. Photos also tend to look dated very quickly. Icons and simple graphics work better as they're able to be reproduced across multiple media, whether on a truck, t-shirt, or website. 5. Your brand is inconsistently implemented across mediums. When you look across all of your marketing efforts, are they clearly consistent in presenting your brand? At a quick glance, do all of your materials have that "branded" look that makes people see the connection in your advertising? If your marketing materials don't share a common denominator, it's a good time to examine your brand architecture and think about rebranding from scratch. Many growing small businesses have never been given any type of brand identity guidebook or standard to illustrate how their brand should be integrated across various media. Most larger ad agencies provide a lengthy brand style guide that illustrates all the various ways your brand can be used, and more importantly, how it cannot (or should not) be used. But the reality is that most small businesses do not have such a document. Generally, they'll have a few file formats of their logo, which they share with the various people who are working on their advertising media. The sign maker gets a copy of this logo file and makes signs. The print-ad artist gets a copy and makes ads. The web designer gets a copy and uploads it. What ultimately happens is that each of them interprets your brand implementation differently. Maybe the ad artist creates an ad with a different font than the web designer, and then decides to change the font for your tagline. Then one of your employees decides that the font for your company would look better another way. You get the picture. Over a period of time, inconsistencies dilute your brand. If you have a single-source advertising agency that coordinates all of your marketing, this should never happen. The agency is essentially the gatekeeper of your brand. But for those who rely on various vendors, it's almost impossible to achieve consistent applications of your brand — especially in the absence of a brand style guide. 6. Your branding doesn't represent you. If your HVACR company is like most businesses, it has probably grown and evolved over the years. Maybe even your services or products have evolved and changed. So has your brand kept up with these changes? Many businesses have outgrown their brand without realizing it. Maybe it was never good to begin with. But now the business is growing, they're trying to attract better clients, and they just don't quite look the part. For these businesses, brand identity is stopping them from achieving full potential. And if the original branding was not done professionally, it often portrays the business as being a mere start-up. But as your company attempts to take market share away from competitors, an amateur brand can be like an anchor around your neck. I often see companies commit a critical error at this point: They decide to hang on to the old brand because they equate good business performance with using it. To these company owners I often say, "Success in spite of poor brand identity is not a valid reason to perpetuate it." Imagine how much more successful these companies might have been with a better brand. When a brand ceases to represent you, or to speak to your target audience in a meaningful way, it's time to give serious consideration to a fresh start. No matter how large or small the business is, any brand redesign causes pain, both financial and otherwise. It's not a proposition that should be entered into lightly. It's a big endeavor, and takes a lot of work to implement properly. Your designer or agency really needs to understand the implications and develop a plan for integration that includes a strategy for a brand rollout. For most small businesses, it is nearly impossible to simply erase all uses of a previous brand and use the new branding all at once. Not only are the logistics challenging, but it's not often financially prudent to do a clean-slate rollout of your new brand. Typically, too many things use your old brand, and removing them all at once isn't always possible. We generally recommend that you roll out a new brand as things need to be updated or new equipment is purchased. Things like business cards, websites, and uniforms are easier to change and represent the more obvious touch-points for your consumers. Those things should be updated first. Dan Antonelli is the founder, president and creative director of Graphic D-Signs, a New Jersey-based advertising and marketing company catering exclusively to small businesses and focused on branding, web design, marketing and advertising services. 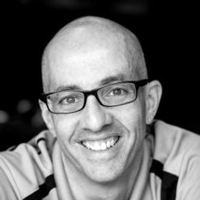 He is a recognized expert on small business branding and author of two books on logo design, as well as dozens of articles on graphic design, branding, vehicle graphics and related topics.For additional information, visit graphicd-signs.com. Using your vehicles to help brand your company should be part of an overall marketing and branding effort, so that what ends up on your fleet is an extension of all the other marketing your company does. Don’t let nostalgia, “nephew art” and lack of standards hold your business back.